Chrome plated brass tap. Minimum working pressure 0.1 bar. 1.5m hose. Wall bracket included. 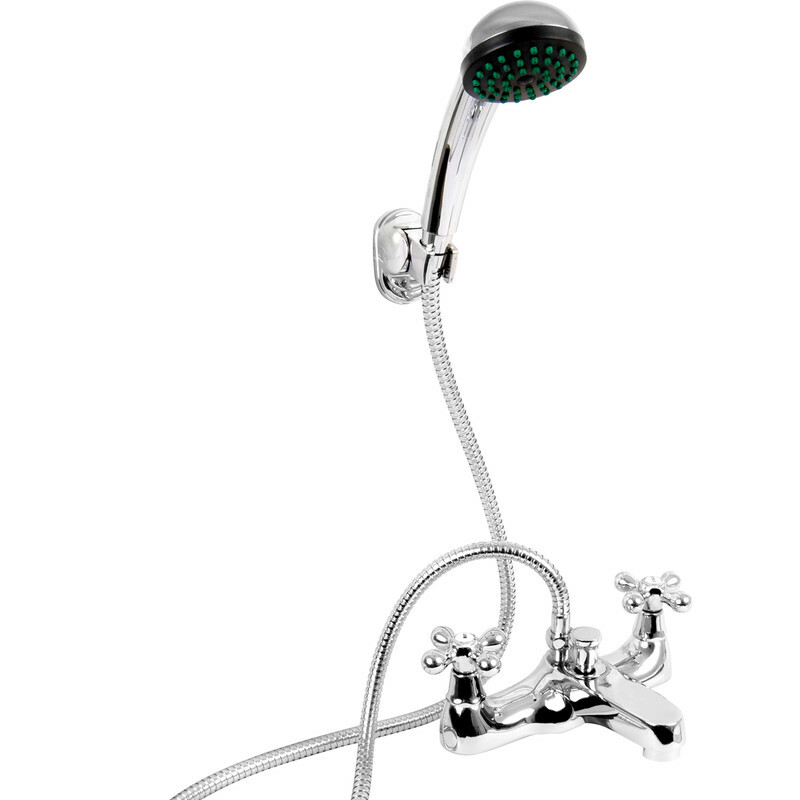 Traditional Bath Shower Mixer Tap Deck is rated 3.8 out of 5 by 4. Rated 1 out of 5 by Jitters from Not as good as they look! Two purchases of the same product with two faults with them too. Not as good as they look. Am taking this up with Toolstation. Rated 5 out of 5 by RichOneHessle from Good Quality Why didn't I go to Toolstation in the first place. Bought a set on the Internet from another company and when fitted there were leaks and the nut even cracked. However ordered these from Toolstation, good solid quality and feel to them, won't be buying any off the Internet anymore! Rated 5 out of 5 by Rabbie from Solid attractive unit Tap unit is hefty, durable and has a nice positive control over H&C flows. The hose, shower head & bracket nice enough, but "budget" quality - the taps however are excellent.